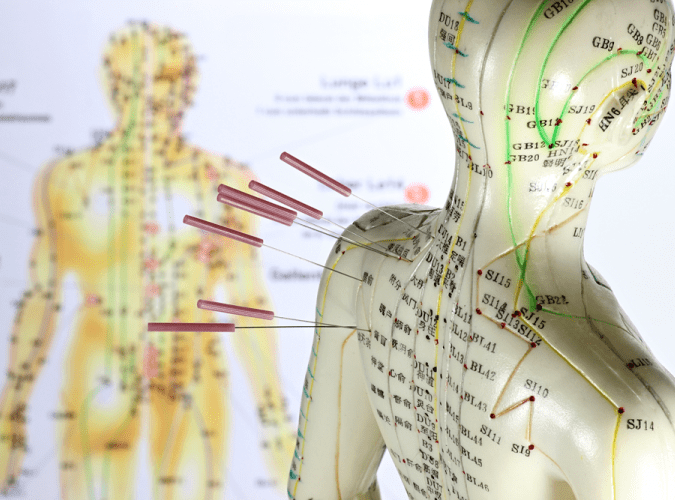 Acupuncture is increasingly used in mainstream healthcare. By inserting fine, sterile, disposable needles into specific points in the body, a physiological response is stimulated which triggers the body’s natural recovery response to improve the functioning of the whole person, not just treat the symptoms. At Liverpool Chiropractic Clinic we provide safe, effective treatment for a wide range of conditions. Our approach incorporates research-based treatment with traditional therapies and includes acupuncture, dietary and lifestyle advice and massage. Acupuncture is increasingly used in mainstream healthcare as its therapeutic value for a growing number of conditions is recognised. The National Institute for Clinical Excellence (NICE) recommends acupuncture as a treatment option for lower back pain, chronic tension headaches and migraines. Acupuncture or Dry needling is an invasive procedure in which a fine needle is inserted into the skin and muscle directly at a myofascial trigger point. A myofascial trigger point consists of multiple contraction knots, which are related to the production and maintenance of the pain cycle. Acupuncture (Dry needling) can be used for a variety of musculoskeletal problems. Muscles are thought to be a primary contributing factor to the symptoms. Such conditions include, but are not limited to neck, back and shoulder pain, arm pain (tennis elbow, carpal tunnel, golfer’s elbow), headache to include migraines and tension-type headaches, jaw pain, buttock pain and leg pain (sciatica, hamstrings strains, calf tightness/spasms). We only use sterile disposable needles. Typically, it takes a couple of visits for a significant improvement to take place, however this is vastly improved through the combination of chiropractic and sports massage.